DIETERICH — The state has awarded the Village of Dieterich a $306,600 grant to help make significant improvements to Liberty Memorial Park. 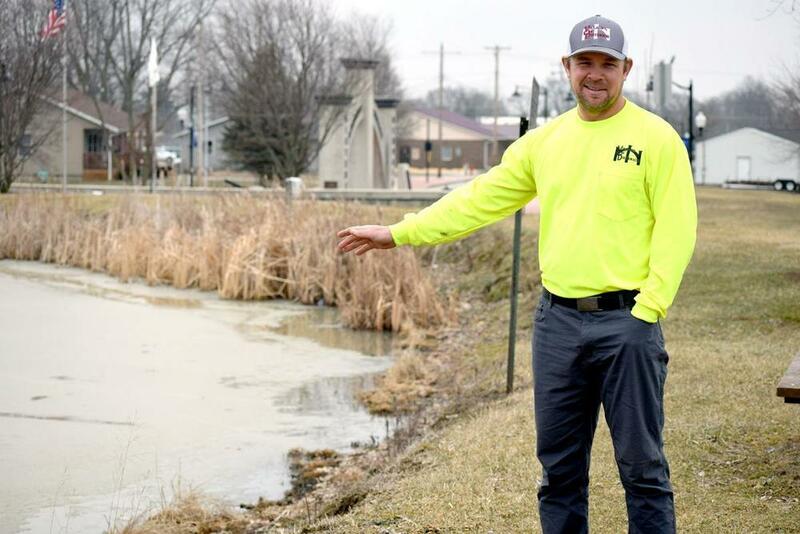 Dieterich Village Clerk and Economic Development Coordinator Brittny Gipson said one of the elements of the project will include rehabbing the tennis courts, and making them multi-use by striping them for both tennis and pickleball. The project includes a handicapped fishing pier on the pond and the addition of a parking lot with handicapped spaces. A new sidewalk winding throughout the park is also in the plan. There will also be two new pieces of handicapped-accessible playground equipment, and new fencing along the park boundary, separating the park from a new residential area to the northwest. Gipson said the project will also involve a 40-by-50 foot open-air addition to the south of the existing pavilion, and additional restroom facilities. "We are converting the existing restrooms to all female usage and building on a new area for the men's room," she said. There will also be some rehabilitation of the pond, but that will not be part of the grant-funded work. Carrie Galbraith, who researched the park's history for Dieterich's quasquicentennial last year, is excited about the grant and the planned improvements. "I'm superexcited," she said. "Our tennis courts could be used more and having handicapped-accessible features is good as well." According to Galbraith, discussions for the park began in 1905. In 1909, the village purchased 3.5 acres from John William Horn to construct a park. One pavilion was built in 1914 and the ball diamond was established a little before 1920. The victory arches at the front of the park were dedicated on Memorial Day in 1920 and were inspired by the machine gun company from World War I that originated in Dieterich. Galbraith said the arches were dedicated in the name of love, liberty and patriotism and to the memory of men of the vicinity that took part in all U.S. wars. The Dieterich project is one of 89 projects receiving funds from the $28.9 million grant from the state. The funds come from the state's Open Space Land Acquisition and Development program, which receives dedicated funding from a percentage of the state's Real Estate Transfer Tax. All of the projects will help communities acquire open space and improve recreational facilities throughout Illinois. Crystal Reed can be reached at crystal.reed@effinghamdailynews.com or by phone at 217-347-7151 ext. 131.